Important parking ruling by India's Supreme Court: Does it outlaw 'unbundling'? [UPDATE: Are you looking for information on parking policy in India's cities? Japan-style proof-of-parking regulations for India? Do CBD parking prices in your city look expensive? India's Supreme Court ruled yesterday that developers cannot sell parking spaces as independent real-estate units. The court ruled that parking areas are 'common areas and facilities'. This upholds an earlier Bombay High Court ruling. First, let's understand the ruling. A Bench of Justices R M Lodha and A K Patnaik in a judgement rejected the argument of a real estate development company that they are entitled to sell garages/stilt parking areas as separate flats to owners who intend to use it as parking facilities. "The promoter has no right to sell any portion of such building which is not flat within the meaning of Section 2(a-1) and the entire land and building has to be conveyed to the organisation. The only right remains with the promoter is to sell unsold flats. "It is, thus, clear that the promoter has no right to sell stilt parking spaces as these are neither flat nor appurtenant or attachment to a flat, Justice Lodha writing the judgement said. The apex court passed the judgement while dismissing the appeal of the promoter Nahalchand Laloochand Pvt Ltd challenging the Bombay High Court''s ruling that under the MOFA (Maharashtra Ownership Flats Act) a builder cannot sell parking slots in the stilt area as independent flats or garage. Housing in Ahmedabad with parking at ground level between the stilts. I fear that this ruling may be misunderstood to mean that unbundling of parking has been forbidden completely or that charging for off-street parking has been outlawed. The cost of parking for residential and commercial units is often passed on to the occupants indirectly through the rent or purchase price ("bundled") rather than directly through a separate charge. For example, a three bedroom unit might come with two parking spaces included in the purchase price or rent. This means that tenants or owners are not able to purchase only as much parking as they need, and are not given the opportunity to save money by using fewer parking spaces. The alternative is to unbundle parking - rent or sell parking spaces separately, rather than automatically including them with building space. This is not only more equitable, but can also reduce the total amount of parking required for the building. So, does yesterday's Supreme Court ruling outlaw parking unbundling altogether in India? The news reports suggest that India's Supreme Court has ruled out only the option of buying and selling parking separately as real-estate. It has not ruled out other options. For example, managing parking as 'common areas' is compatible with having a system of parking permits for tenants. These can be priced of course. 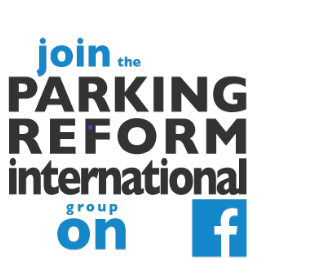 Managing parking as 'common area' is also compatible with deciding to charge visitors for parking, which would be most relevant for commercial complexes. The Supreme Court ruling means that the developers of residential apartments or commercial buildings must hand the parking areas over to the management organisation (such as the 'housing society'). However, the news reports on the ruling do NOT suggest that the Court has forbidden unbundling altogether. Building management committees (but NOT the developers) can still unbundle parking and charge for it if they choose to. I think such committees will find that charging/unbundling is a useful way to manage conflict over their on-site parking. Any thoughts on this from India? Have I interpreted this ruling and its implications correctly? space/s / stilt parking space/s." same in the `common areas’?" Of course lobbies and stair cases are common areas! Everyone uses them. But car parking is not common! Cars can't share - didn't you know that? But I am not too worried. This judgment essentially hinges on a very limiting interpretation of the word 'garage' in the MOFA (Maharashtra Ownership of Flats Act). It does not apply to other states, and it does not apply to housing complexes registered under other acts (though the number of MOFA complexes in Mumbai is not small at all). And all it takes to restore stilt parking to the status of "garage" is a minor amendment in the Maharashtra legislative assembly that garages don't need walls (and I hope they will also legislate that humans do need walls - and a roof - but that is a different story). Given that builders are so heavily represented in our legislature, I have no doubt that this will be done very very soon. Even so, the act itself does not allow parking unbundling to the extent that parking spots can be sold and bought in the open market. It only allows for these spaces to be sold as a part of another flat (as a garage) for extra compensation. Real parking unbundling - as I understand it - will need a major revision to the MOFA. The policy makers, our leaders and many at the helm of affairs are lethargic as their bellies are full and need relaxation to get active again to find other means to fool the common people/public. Every now and then SC wakes up to the predicament of the common people and comes out with such rulings. How many genuine flat buyers who puts their hard earned money into the purchase know that how the builders are calculating the area of the premises they are selling? Many purchasers, even after having the knowledge, are vulnerable and get duped/deceived by the builders in terms of the builders' notion of carpet, built-up and super-built up areas. How many builders are honest, are following business ethics sincerely, and earning their profits honestly? How many of them are service-oriented? I believe, one can count them on fingertips. Fair and unfair percentages are added to the carpet area of the premises. Many of them are unreasonable and some of them are reasonable in this area. Can a Shop owner of a mall use his parking space as s store house? hi we reside in kurla and i want to know that few months ago socity has been formed and earlier it was managed by the developers itself and there was no extra charges like parking etc charged but since the society is been formed they say that the tenents have to pay for their parking. if the tenants do not pay the parking charges they will b denied car pass where the car will b stopped and not allowed in the society. there is no charges for parking for the owners it is free for the owners. can the society do that or does the society has any right to discriminate against tenants and the owners? here the society is charging from the tenants saying tht the society has every right to do so. plz reply wether it is true and is this society having any legal right to do so? builder or society has no right to charge for parking space. however charges can be raised if extra security is being deployed to the reasonable extent and the expenses are accounted for with legal justification. Hi, I have a ground floor flat in Mahagunpuram, Ghaziabad, Builder issued bike parking just beside of my bedroom's windows and paved area which is interrupting my flat privacy. Can we go for any legal action against the builder because he has sold bike parking to society members and now he is not intending to resolve our problem while we have sent them many complaints already. If a builder is not allowing a rightful owner of a commercial shop in a building to park his car then can the shop owner go to the consumer court or civil court? Also is it the right owner to demand to park his vehicle in the stilt parking of that building without having to shell out additional money for it??? I am residing in Vadodara, Gujarat. I went through your article regarding parking laws by Honarable Supreme Court. I am staying in rented apartment in Vadodara, Gujarat... kindly let me know whether rented persons are eligible for parking space within the primises or not. I am residing since four years but am parking my car outside the building. Now i have an option of parking the car in the building but some persons are not willing for the same.... I don't want to resort to unnecessary fights which i can do but don't want to ... i just want to know proper laws before i talk to the society or committee. Kindly forward me the article stating the solution to above said problem. Now i have an option of parking the car in the building but some persons are not willing for the same.... I dont want to resort to unecessary fights which i can do but dont want to ... i just want to know proper laws before i talk to the society or comittee. Kidnly forward me the article stating the solution to above said problem. Sub: Illegal allotment of Parking area in the common place of the residential flat. There are 27 flat owners staying in a housing apartment building in Odisha. We have an unregistered society. There are 27 flats but parking space is provided for 19 members by the builder. Some time back the society had called the general body meeting and they have allotted two parking places to the two flat owners of the residential building who had not got the parking area from the builder. There are 17 flat owners present in the meeting and a resolution had written that two parking places is allotted like unexpired lease for the lifetime to two flat owners, by taking Rs 50000/- each. The area provided for parking apace is the area which is coming under the approved plan of the development authority. This is the area or walkpath 10 feet wide around the four side of the building which is common area for all the twenty seven flat owners. Does the society is in order by allotting two parking places from the existing common area of 27 flat owners by making a resolution with the presence of 17 flat owners. If the society is in order How? If the society is not in order which articles of law they have violated by allotting the common spaces for parking area? Dear sir i live in a flat in Ghaziabad UP. I did not opt parking when i booked the flat. Because builder was charging very high price and now he is asking triple of that amount. as i have possession of the flat but have no parking. So i want to know that i can claim for a parking space from builder/society as i have no space to park my car. but i have legal possession of flat. Do i have right to ask builder that i have flat in your apartment so provide me parking space free of cost. Dear Sir. I stay I ln a housing society in Mumbai. I have a flat on the ground floor.There is a car parking feet away from my bedroom window. It is disturbing and have no privacy unless I keep the windows closed. Is there a provision for having a minimum distance from windows for parking. Also the society claims that because x grills are not allowed by BMC. Is this a fact?. I am staying on ground floor in a 18 storey building in south Mumbai. One gentleman, staying on 4th floor of the building, parks his bike in the shade of one of my bedroom's window. Besides, window of another bedroom is often used by the guards of the building and servants and drivers of the residents of upper floors. Is it legally correct? If it is not legally correct, may kindly guide under what provisions. Is the parking fee asked for underground parking legal? IF ITS CLEARLY MENTION BOTH PARKING IN AGREEMENT AND STILT PARKING ALLOTMENT LATTER IS MENTION AND NOT ALLOTTING OPEN PARKING BUT IS IS IN AGREEMENT. Can you please let me know, What is the Parking area that builder should provide for each flat in Apartments? is builder use car parking space for commercial purpose , if authority given permission to builder to make basement parking than its only for facilty or use as a commercial space. Are there any parking rules for duplex houses? In a gated community, there are around 200 duplex houses and each house has portico to park one car. Surprisingly many of the residents do not want to park their vehicle in their portico and they prefer to park vehicles (4 wheelers) on roads causing lot of inconvenience to the other owners. When asked, these owners say that they need portico space for their children to play, some people say that they have installed swing and hence do not want to park their car inside their portico. They want luxury of parking car on road at the cost of others' convenience. Is there any legal route to insist these owners to park cars in their own portico so that they do not cause inconvenience to other house owners? Can i use other member's car parking with his consent. he dont have a car now. he has purchased parking from builder.